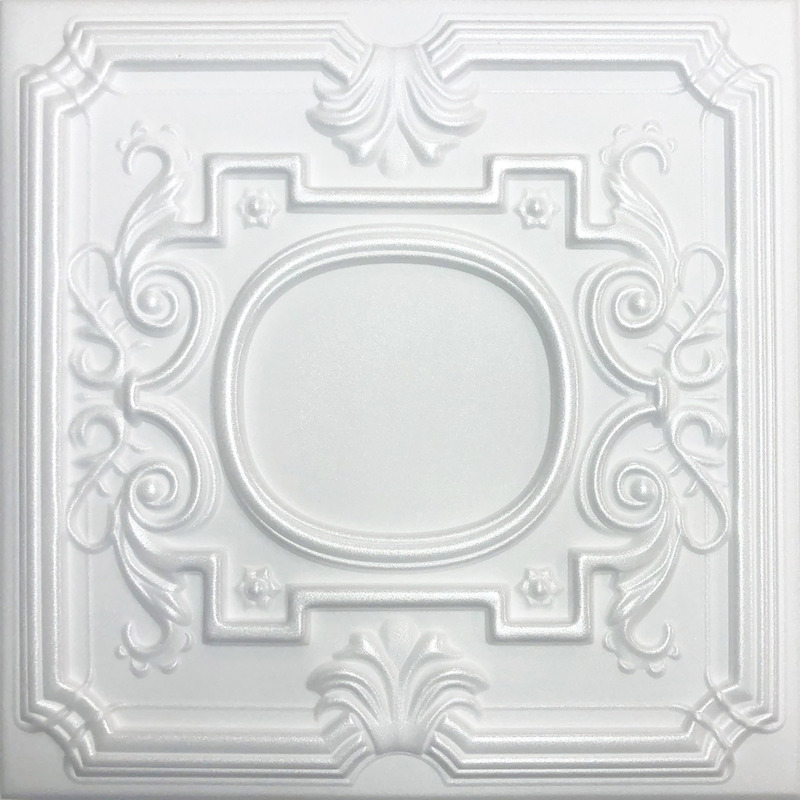 Antique Ceilings is leading provider of decorative ceiling tiles made out of PVC. These ceiling tiles are designed to work with 1" T-Bar Grid Systems. Since our ceiling tiles are available in a wide array of faux finishes, the grid system itself needs to match those finishes. White, Bronze/Black, Bronze/Brown, Copper/Black, Copper/Brown, Copper/Patina, Gold/Black, Gold/Brown, Silver/Black, Silver/Brown and Silver/Patina. Application of the paint can be achieved by using 2 inch or 3 inch roller on an extension pole. This will allow you to apply the paint onto the hanged grid system while walking on the ground. It saves time by not walking up and down the ladder. A close matching alternative paints can also be purchased from Home Depot and Lowes. We recommend Martha Stewart - Precious Metals as well as Valspar - Earth Elements. Both of the above brands carry selection of all metallic colors that are close to match our paints. Please note, however, that paints carried by us are the same paints used for the faux finish and are hence an exact match. I have a smaller bathroom with no windows and have been redo ..